BARCELONA 28, July – Big smash at Estacion de Francia. A train has crashed into the end of the track at the busy station injuring 48 people. The train heavily damaged the front and the violent smash caused serious injuries to 5 people, train driver included. 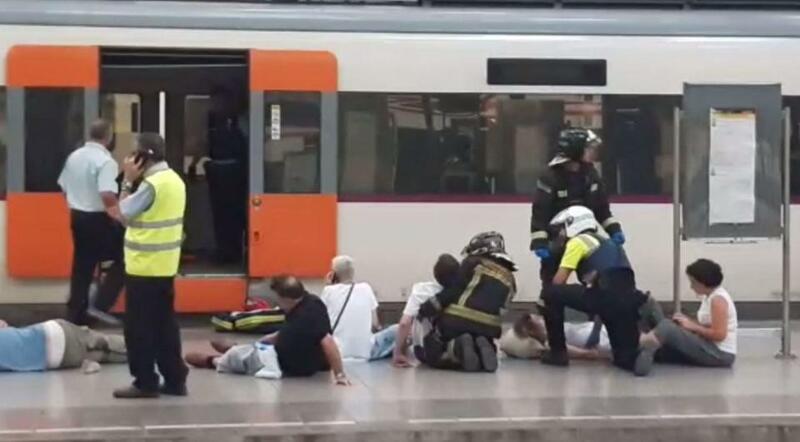 Paramedics are treating people on the platform, while firefighters and police are reaching the scene. Apparently there are no victims and the reason of the smash is still not clear.